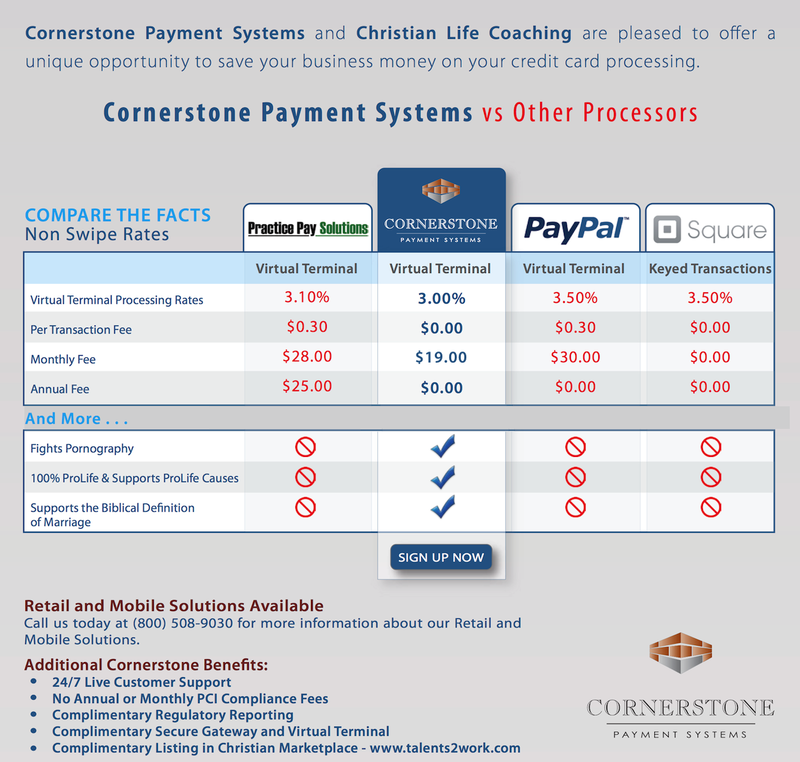 Christian Life Coaching has selected Cornerstone Payment Systems to help you accept all major credit cards today! a registered ISO of Woodforest National Bank, Houston, Texas. © Copyright 2013. Cornerstone Payment Systems. All Rights Reserved.